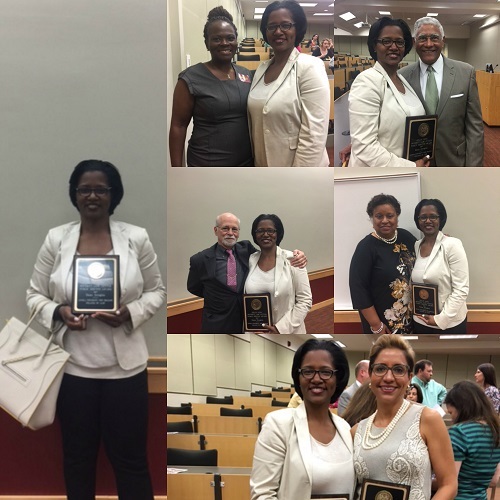 Dana Douglas has been selected by The Gillis Long Poverty Law Center at Loyola University New Orleans College of Law as a 2017 Public Service Award recipient. Each year, the Center presents awards to Loyola students, faculty, staff, and alumni who have demonstrated a commitment to social justice. Dana is active in professional and community organizations, and holds various leadership positions. Dana is a Charter and Founding Member of the Louisiana Chapter of the Women’s Energy Network, the Immediate Past President of the Greater New Orleans Louis A. Martinet Society, the President-Elect for the New Orleans Bar Association, and the Chair of the 28th Annual Justice For All Ball.